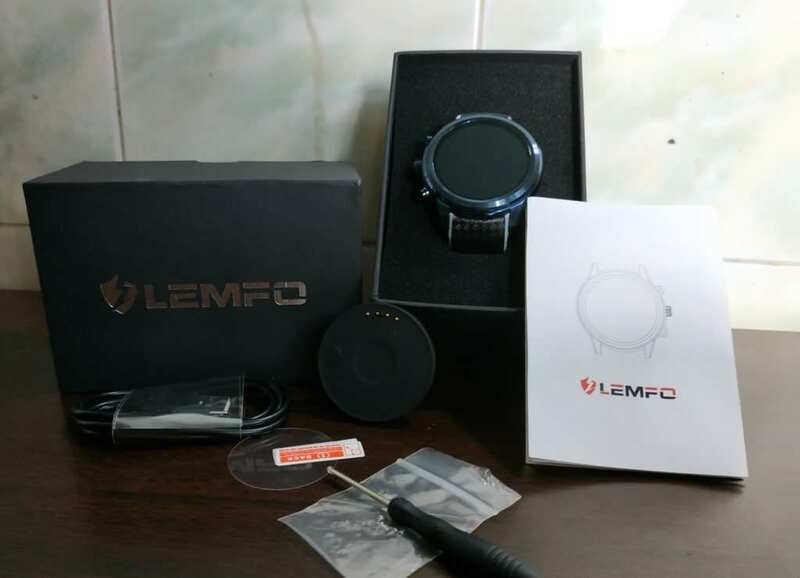 Lemfo LEM5 is an improved version of LEM5 watches. It has a stylish design, with excellent specifications, and comes in a beautiful steel case and a fairly large screen.It also comes with a very attractive price.T he cost of the smartwatches in the markets are usually.before I started writing this review I had checked the price of smartwatches from Samsung, Sony, Fitbit, Apple and Motorola, And all of them are linked to a factor of worry and that is price.The design of some of those smartphones could be an issue because they may not look catchy to the eyes which is why buying this smartphone could be a very good decision. in this review I will talk about every aspect of this tablet, so make sure that you read through this article. Sports functions: pedometer, distance measurement, calculation of calories spent, sleep monitoring, activity monitoring, heartbeat sensor. Business functions: phone book, voice recorder, calculator, calendar, alarm clock, etc. Smartwatch Phone, Charging Dock, micro usb cable for charging and data transfer with PC, user manual, screen protector, extra set of screws for fixing the cover, tiny screwdriver. The rounded case of this Smartwatch is made of stainless steel which looks more premium. it gives you wanna cool feel if strapped around your wrist. The strap of this Smartwatch is carefully stitched and is made of leather-the clasp is made more reliable. This is device is protected from dust and moisture, which is quite good as far as the longevity and retaining its beauty over a fair amount of time is concerned.It is Ip55 life waterproof . Such a gadget can be used in normal conditions, you can wear it anywhere- at home or on the street. 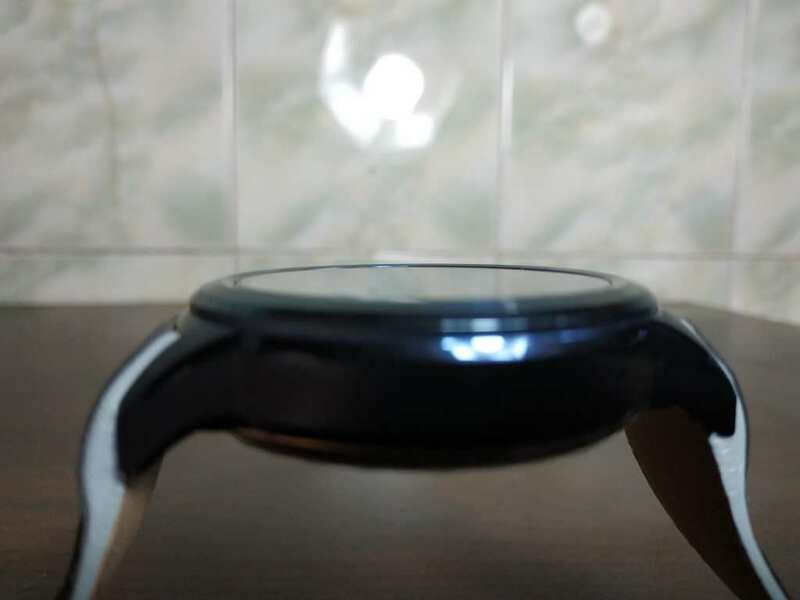 it won’t be a good idea to directly image it in deep water prolonged period of time but there want to be much of a damage if your watch becomes wet on a rainy day. So this Smartwatch is not suitable to wear on your wrist whilst swimming. The front side of watch 1.39-inch IPS Touch screen display with 400 x 400 f screen which has excellent viewing angles. The brightness of the display is very good. The screen is readable not only be in indoors but also in the outdoors. On the right side, there are three circular buttons made of steel. The first button will resume the previous window. The second button or the middle one is an on and off switch .Proceed for 2 seconds to turn the device on and after that only attack will suffice to make the screen active On the second step will make the screen go completely black or inactive.On the right side we have a tiny microphone which is used for talking or audio audio input.The backside is introduced metal with four smaller screws. You will also see holes for the external speaker or audio output. This allows you not to muffle the sound when the watch is on your hand. This amount of volume is sufficient for notifications and an alarm clock. There is also a contact pad for charging through the docking station.The contact pad is magnetized to the docking station. It is enough to just bring the clock close and they will be automatically adjusted in the right position. Under the cover, we have a slot for nano SIM . The watch supports 2G and 3G and networks.It weighs about 85 grams and it does not feel bulky in your hand and would likely fit perfectly on your wrist. Sometimes allowed watch does not fit owing to the size of the wrist. I really like it’s elegant look and I love the amount of comfort it provides to your hand. You are able to dial and receive calls send and receive text messages. fitness features include Pedometer, heart rate measurement app. There is also a built-in GPS to track your location while you’re outdoor. You can also download additional apps from the Play Store and run them at ease. Just like a conventional smartphone you can browse the net or use social media without any problem. You can manage your Smartwatch using your Android phones.A ll you have to do is to install the Watch helper app and unleash the full functionality of this Smartwatch from your phone. The first thing that catches attention is the abundance of the dials. The developers took a great deal of care when it came to designing the main screen which is quite of advantage to use. Each user will find a suitable layout for himself. There are at least 31 different layouts in total, and you may be able to add more if you connect to the network. Slide your finger from top to bottom – the lower Svayp (opens the settings menu for the user, Wi-Fi, Bluetooth, brightness settings are adjusted here, weather data are viewed); Slide your finger from the bottom part – the top svayp (shows notifications from social networks, e-mail, information about screenshots, downloads, notification of calls and SMS); Slide your finger to from left to the right – right svayp (gesture opens the device menu). In order to activate the main screen, press the middle button. Smart clock management carefully schemes for convenience. The manufacturer has equipped the system with the ability to understand gestures. 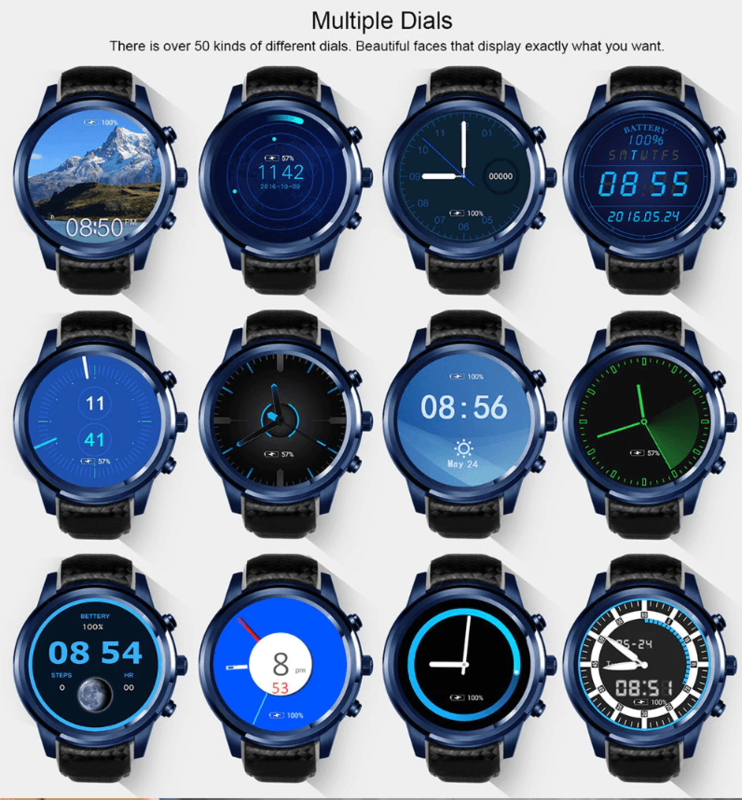 Smart watches from Lemfo model Lem5 Pro distinguish gestures. All credit goes to a special motion sensor that captures the user’s activity. The device responds, for example, to the time-honored gesture. The main screen is automatically activated, and if you lower the hand, the watch automatically goes into sleep mode. Let’s talk about the hardware section. 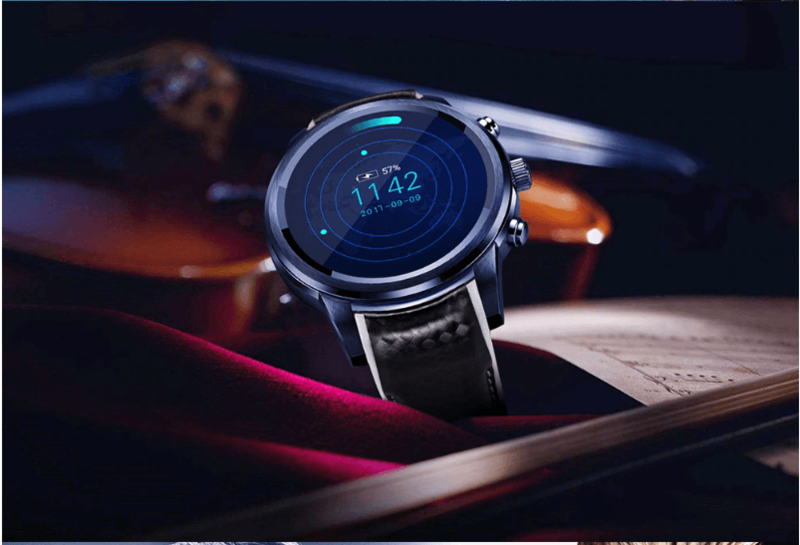 The watch runs on Android 5.1 Operating System coupled with MT6580 Quad Core processor and a built-in 2GB of RAM and 16GB of internal storage. As for any active connection such as WiFi, Bluetooth, GPS, active work of the accelerometer with the gesture control being enabled -This would significantly reduce the operating time. 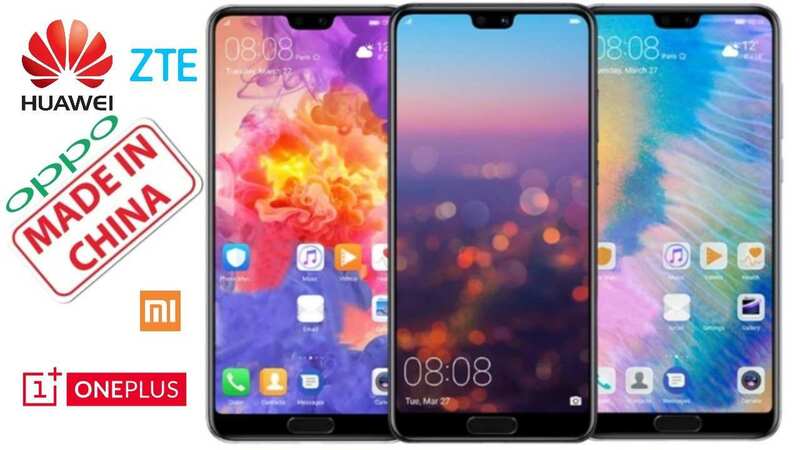 The battery capacity is 450 mAh, in the active use mode when the SIM card or Bluetooth or any active connection is active there is enough for a day. 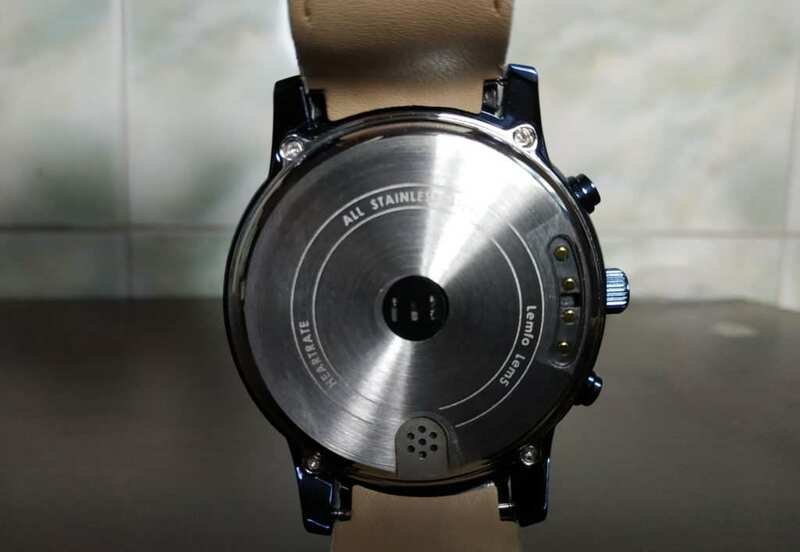 and normal use two days of use from one charge or if you use only as a chronometer, ie – watch time you will get 3-4 days battery life..and its charge takes around 3 hours of full charge. The capacity of the battery is about 450 mAh. In the active user mode when the SIM card is placed or Bluetooth or Wi-Fi or any other connection is on, there is enough for a full day of use. conventionally you can use for about 2 days if you charge the watch for once. .You are able to switch to a power saving mode whenever the power is running low. In order to charge to a full, it takes about 3 hours of charging time. 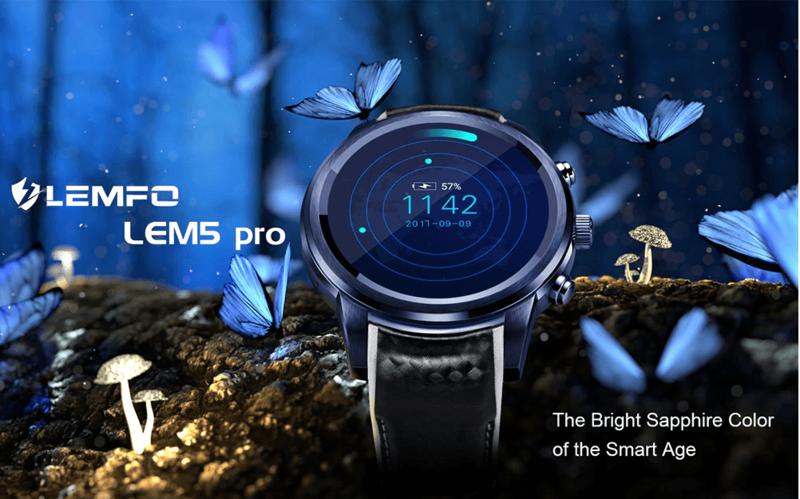 Lemfo Lem5 Pro 3G Smartwatch Phones have shown quite a bit of evolutionary design and this shows how smartwatches are evolving every day. the technical characteristics are high and the full functionality is rich. There is absolutely no shortcomings as far as the analog signals are concerned. By the way, with regard to the price, please check the cheapest selling price quotes which are on offer on Gearbest.com to know about the current price quotes. There is no camera in this watch. The battery backup should be more than the average.